A lovely linen style to wear as a tunic or dress! 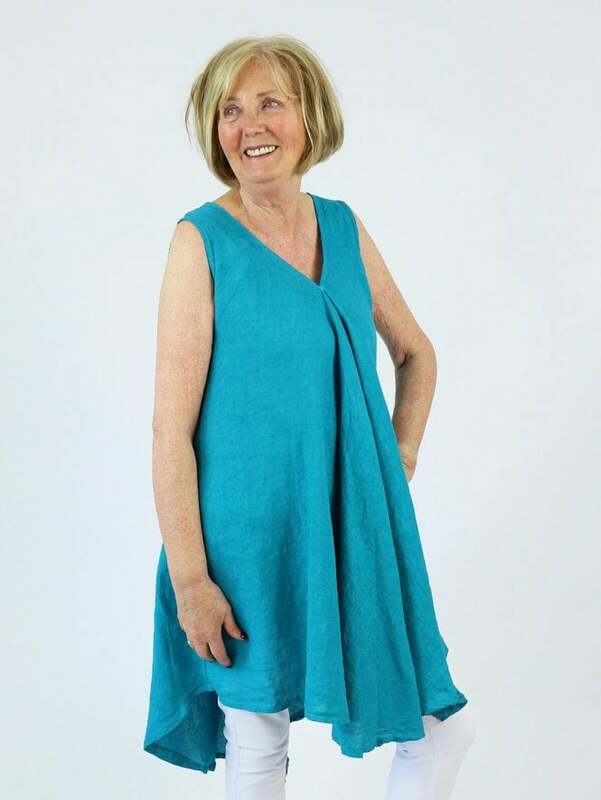 The Made in Italy Lallio Linen Dress features a V neckline with wide straps and gorgeous pleat detailing to the front for a flattering flowing shape. Our favourite features has to be the dipped hemline to the back making it perfect for layering!